New York, I’m in love. I’ve always wanted to come to New York and now I’m finally here and it’s everything I hoped it would be and more. 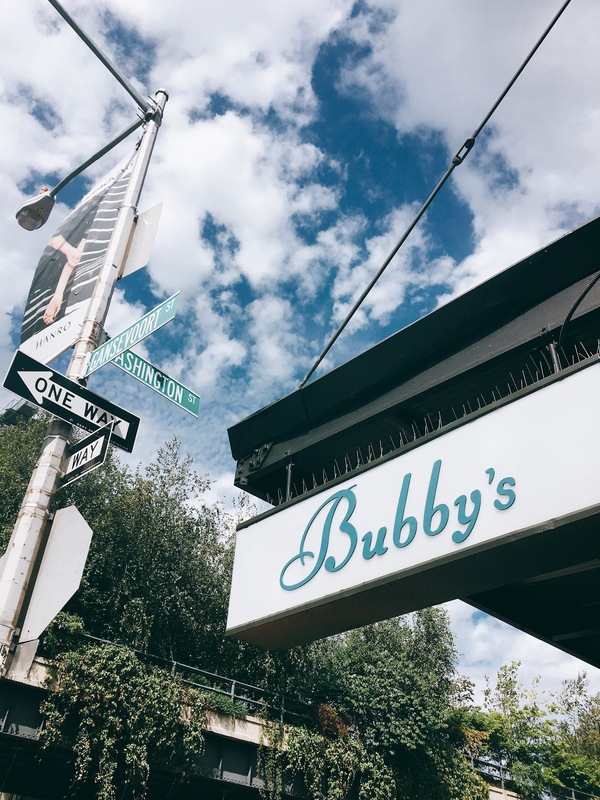 Something of a New York institution, Bubby’s have been ‘cooking the American way’ since 1990 – and by American they mean with influences from all of their melting pot citizens. They apparently serve over 45,000 eggs a week(!) you can find them in the meatpacking district, at the end of the High Line. They also have a second site in TriBeCa. Brunch is served from 8-4 daily and they have a good strong menu. 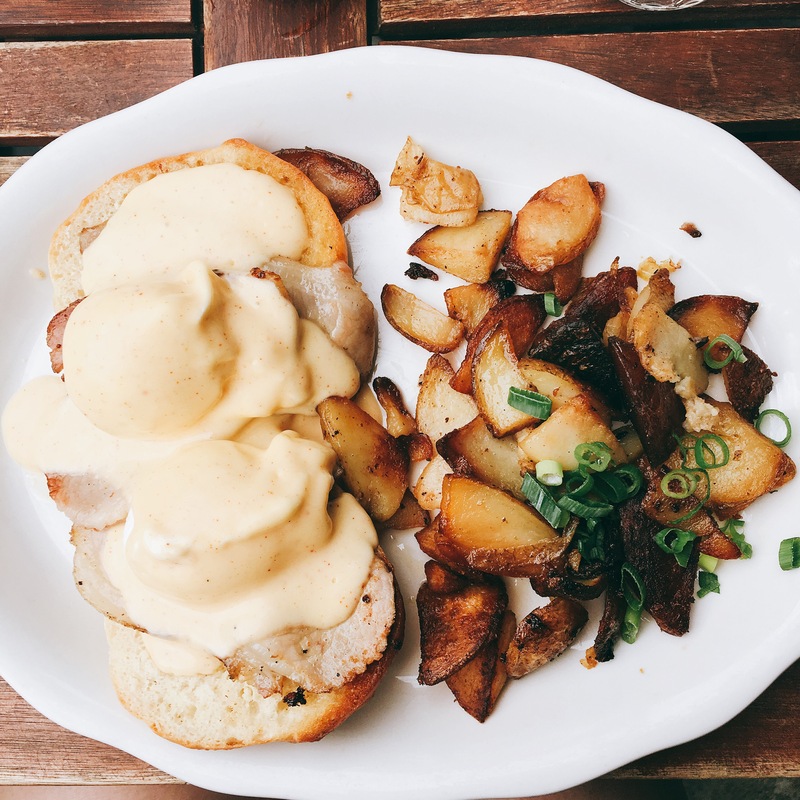 I could have had several options but I wanted a breakfast so I went for Eggs Benedict with Canadian bacon and home fries. Pat, my boyfriend, went for Bubby’s Breakfast with sunny side up eggs. 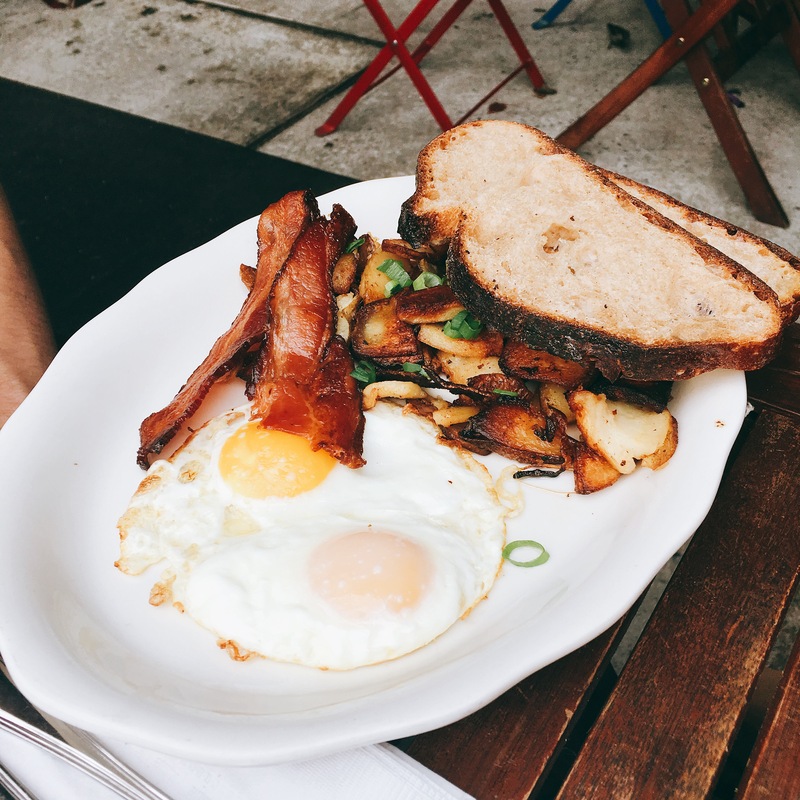 The home fries were delicious, the Jewish English muffin (a pletzel) was like a fried and toasted roll, two perfectly poached eggs with bright yellow yolks and tasty hollandaise laced with paprika. The Canadian bacon was weird but I’ve come to the conclusion that I only like British / Danish bacon. This was the perfect size for Pat, who’s not half as much of a pig as me. He loved the bacon, eggs and fries. The eggs were the star of the plate. For dinner, before we head back up Top of the Rock to see the sights after dark, we headed to Obao for some Thai ‘noodles and BBQ’. 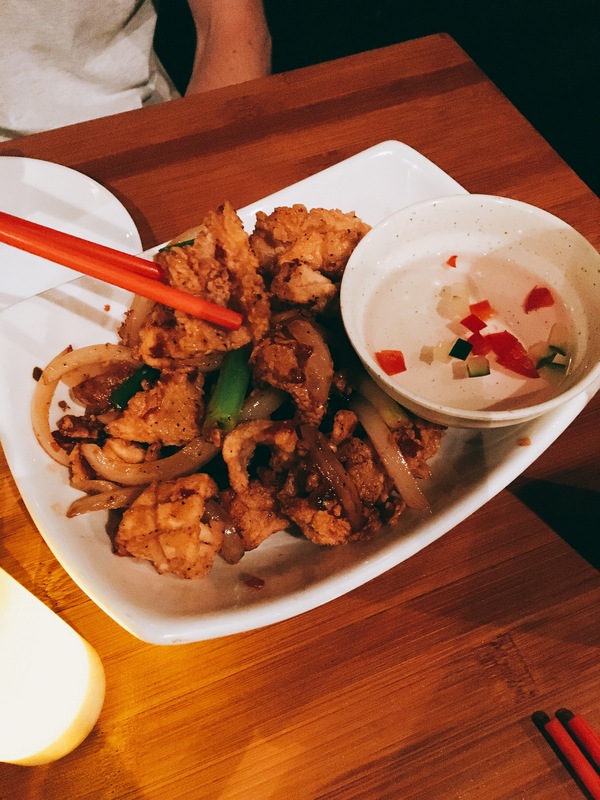 Obao aims to bridge the gap between the street food of South East Asia and the streets of NYC. We went to the Midtown East restaurant but they have another two: one in Hell’s Kitchen and one in the Financial District. Going in hungry and looking around, the portions didn’t look as big as we’ve been warned about in New York, so we ordered an entree (starter) and a main each. So, those ‘not too big’ portion hopes we were expecting were dashed when this came out! I’d made myself feel ill earlier in the day eating a big breakfast after 24 hours of not eating so was cautious not to do the same again before we headed up 67 floors in a high speed lift! It was so tasty and only lightly spicy. There was so much calamari. The little dip added some extra heat! We ate every last crumb. The photo doesn’t really do it justice how massive this was – lots of veg on the underside, topped with rice noodles and a by Cham sauce to be poured over. Thumbs up all round. Pat ate about a third of it and had to give in as it was just too big! The waitress did kindly offer to bag it up for us when we left. 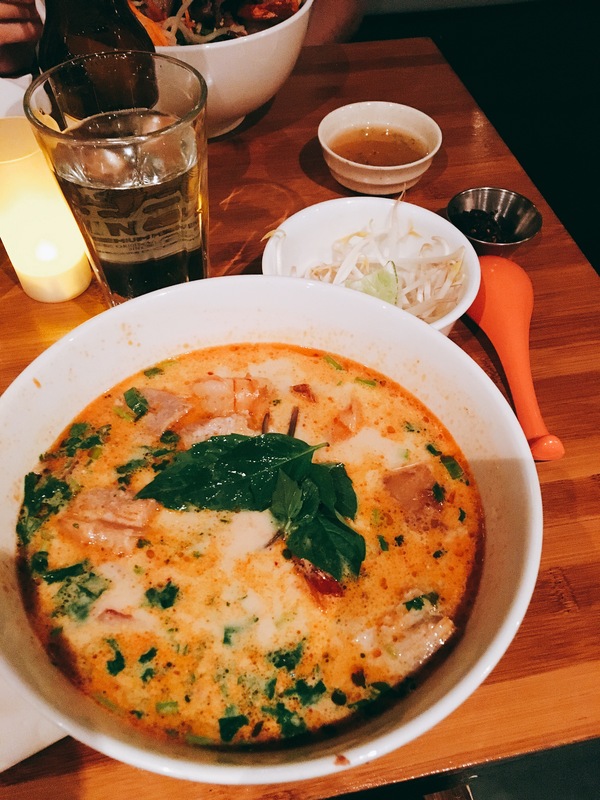 Shrimp, pork belly, rice noodles and spicy coconut curry. Again, the photo doesn’t do it justice for how massive it was. The curry broth was delicious, the pork belly melted in the mouth from slow cooking and the shrimps were massive and juicy. 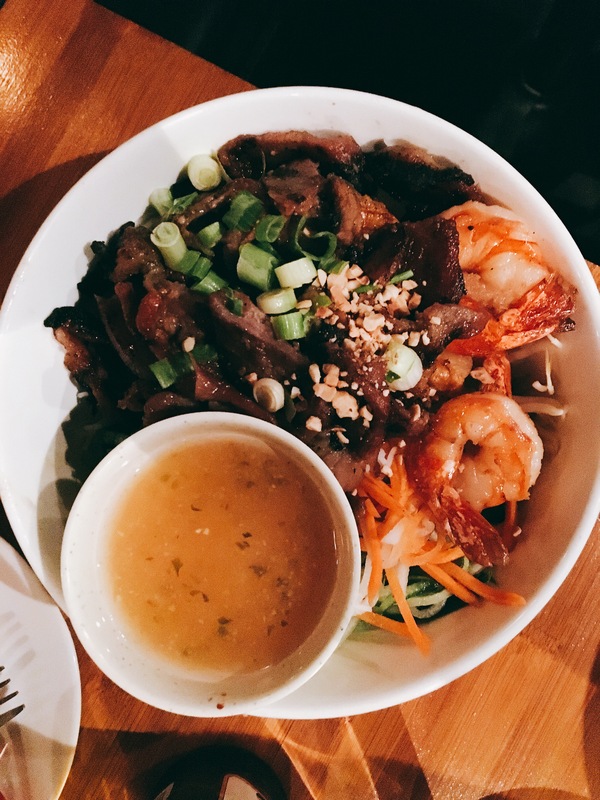 It comes with Thai basil, bean sprouts, chilli and lime for you to add to / season to taste. I had it ‘as was’ but with the lime and Thai basil. Delish. For the portion sizes, quality and taste, the bill, including tax and tips came to $62, such good value. 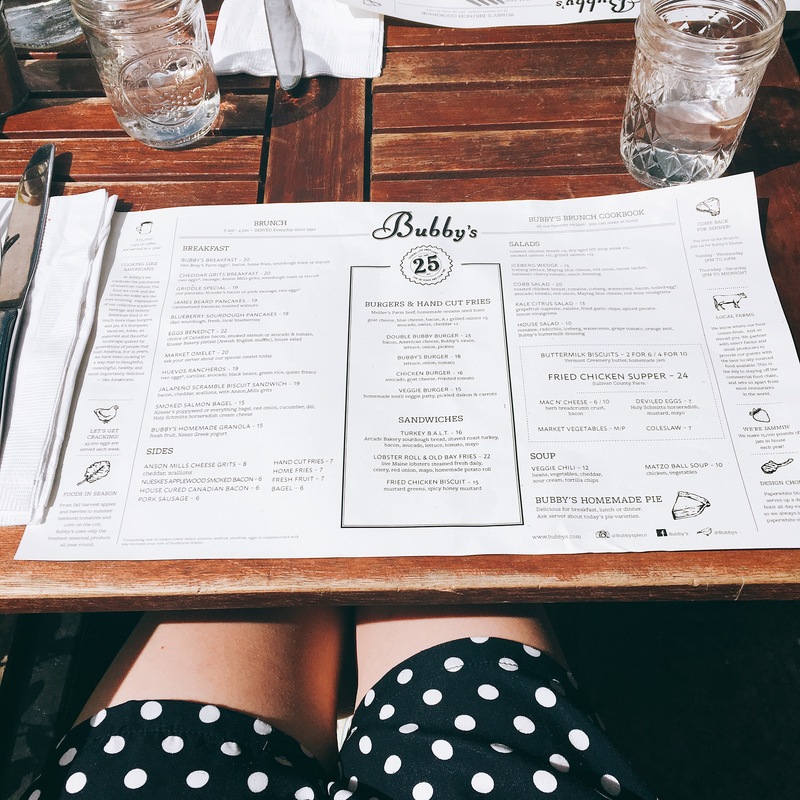 Bubby’s, 73 Gansevoort Street (on the corner of Washington Street)! God the food looks amazing. 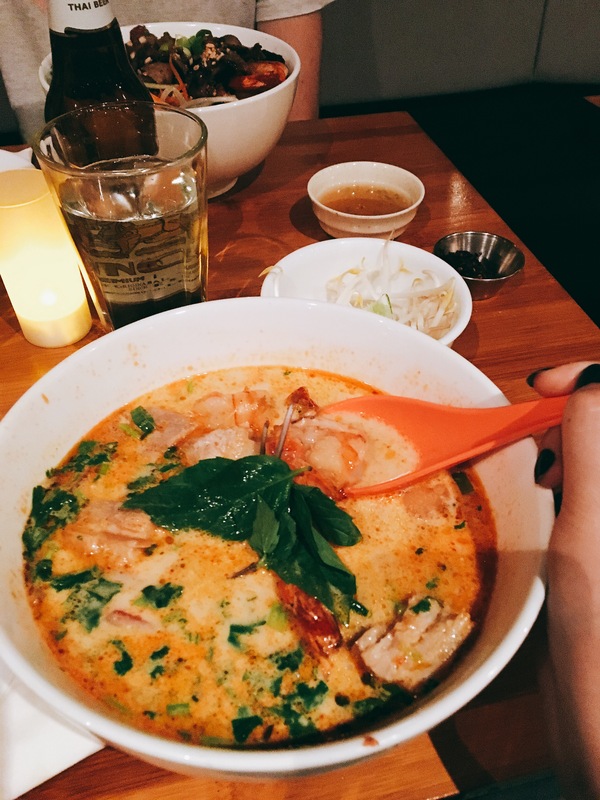 I’m determined to go to NY next year after seeing all your photos, it’s a foodies paradise! It’s the best place I’ve ever been to! Highly recommend!